We thank you for considering La Cocina International Restaurant to hold this important day in your life. With our quality of service and excellent cuisine, we assure you that this day will be unforgettable. La Cocina International Restaurant offers intimate Fine Dining with a Latin Flair in a Casual Atmosphere. Flour Tortilla filled with eggs, chorizo, peppers, onions and Tomatoes accompanied with Mexican salsa. Side orders of Bacon or sausage and home fries. Poached eggs on top of Canadian bacon and a toasted English muffin topped with Hollandaise sauce. Side orders of home fries, bacon or sausage. Served with fresh whipped cream and a side of bacon or sausage. Three egg omelet with your choice of onions, peppers, tomato, ham, mushroom and cheddar cheese. Side orders of home fries, sausage or bacon. Scrambled eggs, crispy bacon, mozzarella cheese and fresh tomatoes on a Kaiser roll served with a side of home fries. Plain, made to order pancakes with a side of bacon or sausage. Thick sliced French baguette dipped in cinnamon and vanilla batter, topped with fresh strawberries and homemade whipped cream with a side of bacon or sausage. Highly rated in TripAdvisor and rightly so. Located in a hotel which wouldn't be my first choice but great food and service. Went back for breakfast in the morning and service wasn't quite as good but nevertheless a great experience. Walking distance from several hotels ect. 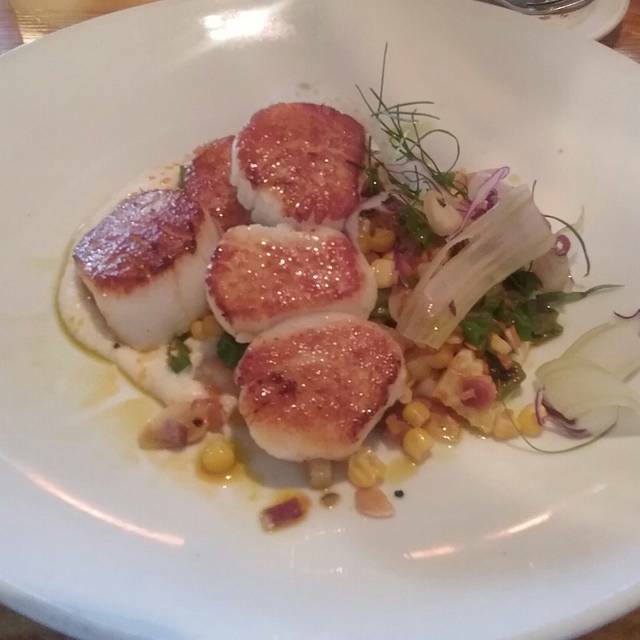 We love this restaurant and think it is one of the best in St Augustine. However, this particular evening - April 13 - seemed to be noisier than we remember. But that was the only downside. Everything else was terrific! The restaurant is located inside a hotel. It was 6:30pm and almost all the tables were full which was a good sign. I had the duck and my husband had the beef shank. Both dishes were delicious. The wait staff were very professional and gave us good service. We will definitely come back next time we visit St Augustine. This is the best Restaurant in St Augustine. The food is always perfect. We loved our dining experience and our 2:00 reservation time for our special birthday luncheon on Saturday. The dining room was quiet and relaxed-like it was reserved just for us and very intimate. The Salmon dish with jasmine rice and artistic presentation of a zucchini cut basket filled with vegetables was done perfectly and my steak and grilled asparagus with steak fries was delicious. Aesthetically, both dishes were beautiful-picture perfect-presented with a drizzle of beet puree-similar to a feature dish as seen in an elegant Food magazine. 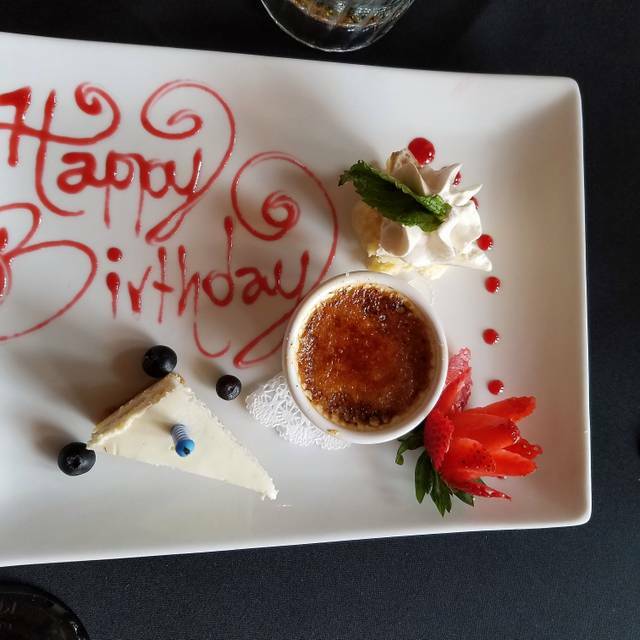 Our talented and pleasant server, Khatia, made our experience even more special and elegant with her hand written decorated birthday dessert plate. 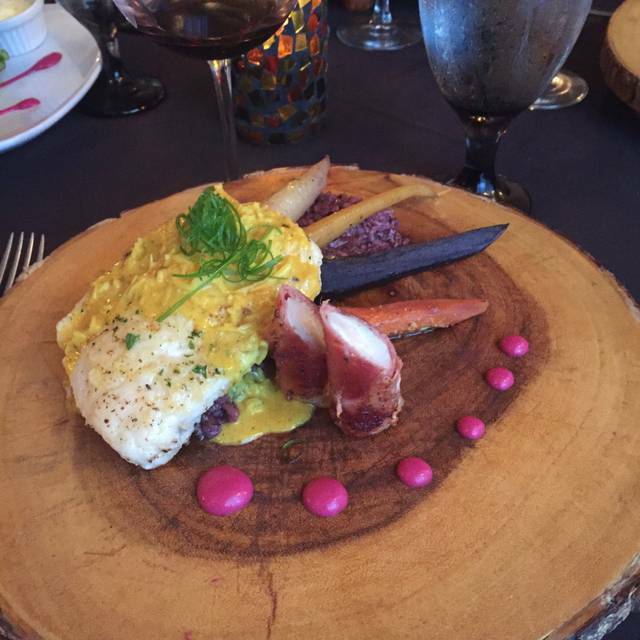 We look forward to returning to enjoy more destinctive La Cocina cuisine. Server Katya was great with timing and execution. Dishes were high quality. This is far from Spanish cuisine. Octopus was tasteless and not cooked well. Ceviche was undercooked in juices and with no flavor you would expect. Paella was very dry without seafood flavor despite few mussels on top. It is one of the best restaurants in this area. The food is superb as is the service. It is my “go to” restaurant. Outstanding service and food! The Short Rib was amazing. LaCocina is my absolute favorite restaurant in St Augustine and considering the number of amazing restaurants here, that means a lot. The salmon was seasoned and prepared to perfection. The best salmon that I have ever tasted. The presentation, as always, was a work of art. Not comfortable and mediocor food. Not much of a lunch menu. As always, excellent service and we enjoyed a couple of newer items on the menu which were a nice surprise. Amazing gems from the kitchen! This is our "go to" restaurant on the island-never disappointed. We all had an excellent experience. Our server was warm and friendly. Two of us had the half rack of lamb which was cooked as ordered. It also had 4 chops. At Collage I had three chops and it cost $10.00 more. We will be back. When we arrived we were seated immediately. The waiter was very tentative and gave suggestions to our questions. We had the soup of the day and the meal was excellent, we had the bass fish. 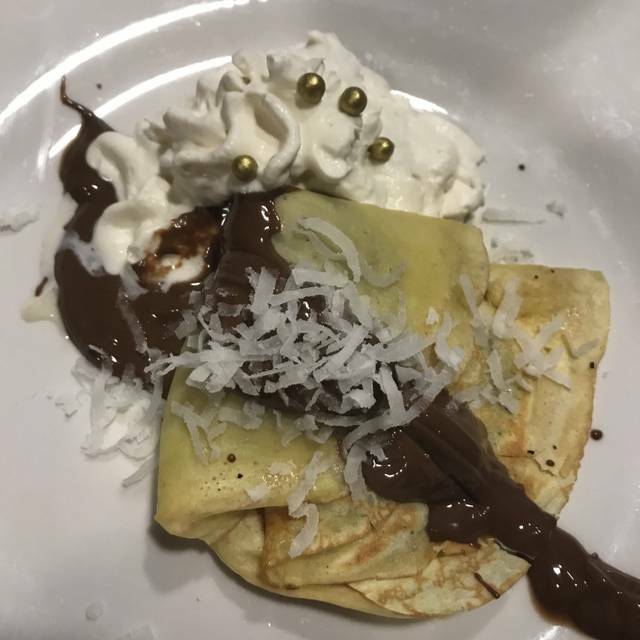 The desert was very delicious. We will continue to come to this restaurant. Birthday dinner, food & service were excellent!! I only wish they had brought the check sooner when it was obvious we were through. In their defense, it may have been a shorter time than it seemed. Nice look. Waitstaff attentive, not hovering. Party of 10 celebrating put damper on quiet dinning conversation. I don't know if restaurant has rooms to handle this situation but management should be aware of the negative situation. We thoroughly enjoyed our meal, George did an excellent serving us. We tried to go back the next night but could get a reservation. We definitely will be going back next time we are in town. Attentive service! Great food. It was my friend’s birthday and they brought out a dessert with candles! Very slow service. Average salmon. Always outstanding, no exception this time. Jorge always greets you with a smile and hustles around providing great service. The lobster bisque is a can't miss starter and the filet is wonderful. Wife had the flounder this time and loved it. Solid, consistent and worth the money. This was a special evening with our son was here for 1 day from Connecticut. Great food food, wonderful service and an opportunity to have a meaningful conversation. 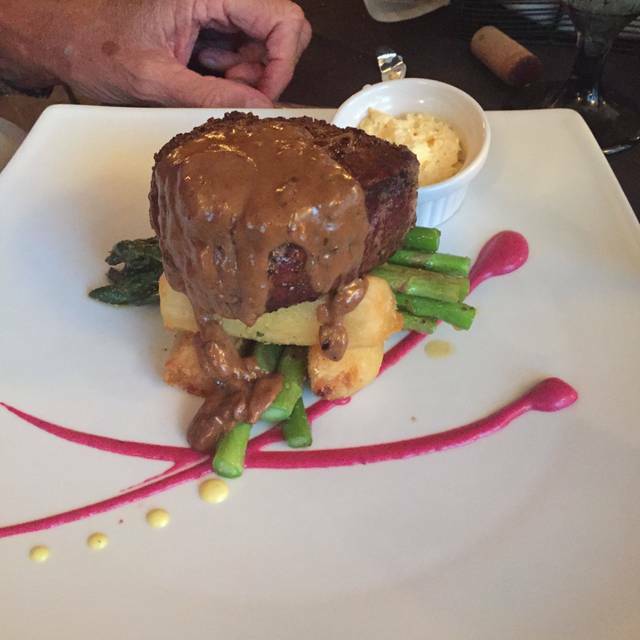 All three of us had the beef filet and it was, as always, delicious and tender and cooked to perfection. Two of us had the salad with pear slices. Yummy. Desserts also yummy. This is a restaurant we often go to when we want some elegance on Anastasia Island. Reservations are accepted which is a plus if your plans cannot include waiting or trying somewhere else. This was our first time of finding fault with our food order. The crab cakes were awesome but the short ribs were fatty. The server was new and struggled a little but this again was a rare situation at this restaurant. It remains my favorite on the island. We could not wait to return after dining here a year ago. Last year it was noisy, and this year as well, VERY......though reduced as patrons left. It was a Thursday evening. Service was impeccable, and we enjoyed that. The waiters anticipate and fulfill one's every need. We can't compliment enough. One of us enjoyed his dinner ( the duck entree), but commented that the heat of the chipotle butter on the escargot appetizer overpowered the flavor of the snails. 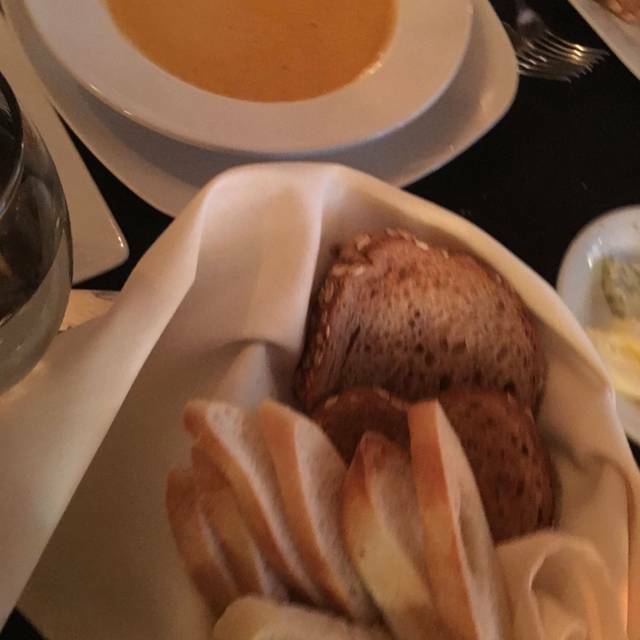 Lobster bisque was delicious. Highly recommend. One of us ordered the seafood risotto, and it was disappointing. 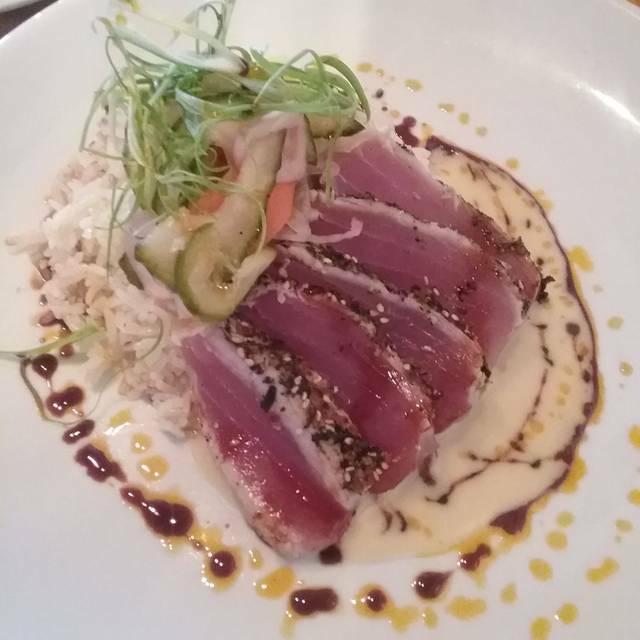 Coming from the Northeast, we know our seafood and prepare it often. In this dish, the clams were gritty, and the scallops and shrimp were overcooked (having to deal with the tails is annoying too). The mussels had not been debearded, and the calamari was rubbery. This may sound like whining, but the chef should be aware of it. Our dessert was delectable....the pineapple flambe with ice cream. Highly recommend. Overall, we enjoyed the evening. Again, the service was outstanding in every way. We had a wonderful Birthday dinner for my wife. Thank you so much for making it special. 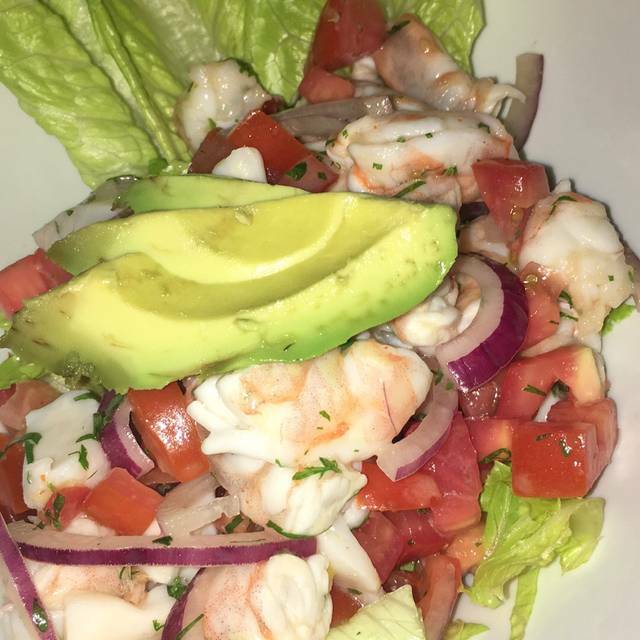 The only thing is our ceviche was left out of our Togo bag. We will have to be back for more. It was excellent!! Good for a special occasion, a bit pricey for normal restaurant dining. 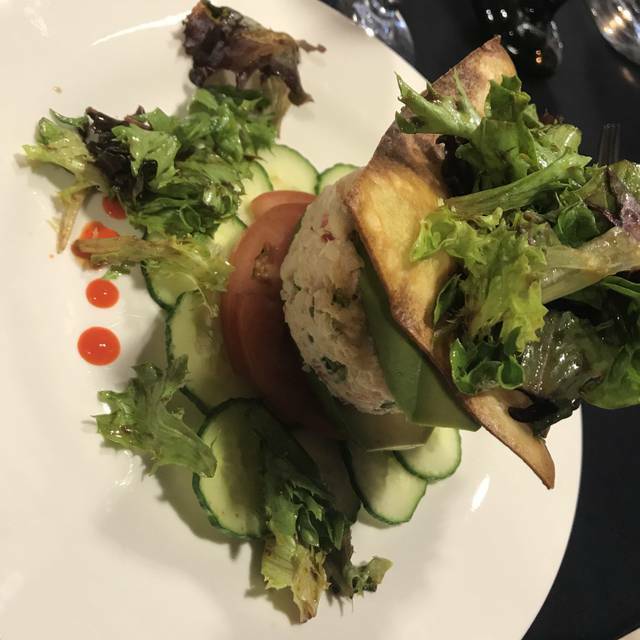 THE FOOD IS EXCELLENT AND BEAUTIFULLY PRESENTED. The steak and crab were excellent. The soup Chicken with broth and vegetables was very good although I might have preferred the lobster bisque. The atmosphere was perfect for discussing various events and situations--business and personal--with a friend. The service was outstanding. Food had no seasoning what so ever, had to put salt and pepper on everything and they do not serve alcohol, just beer and wine. It was an ok place besides that. Wonderful to work with. Cava waiting and a special dessert ready when we were. Favorite restaurant for special times. This is one of the finest restaurants in the area. Excellent, beautifully prepared food served by attentive staff in a lovely dining room. Definitely not the typical hotel restaurant. This is a very cute restaurant at St. Augustine Beach. The food is delicious, the wine list is impressive and the service is great. It's a nice place to go for a special occasion. We dined on Valentines Day and enjoyed their special menu for the occasion. Experience was lovely as usual and food excellent. Minor glitches: mushroom soup not served hot, my glass of wine arrived at the end of my meal when I had ordered before being served entree. Service appeared more attentive at larger tables of 4 or more.